Ubisoft is introducing a new way to play for its next entry in the popular Assassin’s Creed series. Assassin’s Creed Odyssey will feature two options in which you can play through the campaign. As confirmed in the Assassin’s Creed Odyssey IGN preview (see video below), there will be an Exploration mode and a Guided mode. While the Guided mode will offer the more traditional gameplay option of having NPCs and map markers guiding you to your next objective, Exploration mode will strip those away. So, it seems like Assassin’s Creed Odyssey Exploration mode will be the more challenging of the two. When selected characters will not always point you in the right direction, and it will be up to you to find clues as to where you should be heading across Ancient Greece. It also looks like automatic path-finding will be switched off in the Exploration mode. Assassin’s Creed Odyssey Guided Mode: A more traditional experience. Markers are displayed at all times, and quest objectives are given to you automatically. Assassin’s Creed Odyssey Exploration Mode: A newer approach to playstyle. The user must investigate the world to uncover targets and quest objectives. This is the way Assassin’s Creed Odyssey is meant to be experience. What’s cool about the latter, is that it looks like quest givers will give you hints to the location you need to head to next. In the video, for example, we see Phoibe telling you that you need to head to house at a vineyard. You can also use your eagle to help you find the exact location. The commentator notes that this new mode means that you end up exploring the map much more than previous games. 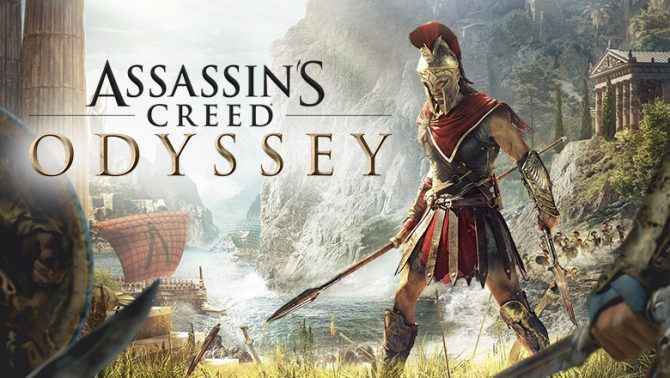 Assassin’s Creed Odyssey is due for release on the 5 October on PS4, Xbox One and PC.